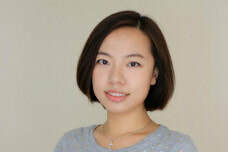 ​Su Jiang is a Ph.D. student at the University of California, Irvine’s School of Education with a specialization in Learning, Teaching, Cognition, and Development (LTCD). Her research interests focus on the development of adolescents' math and science motivation and its impact on choices and achievement. Su aims to promote diversity and equity in Science, Technology, Engineering, and Mathematics (STEM) through understanding how development of motivation differs across race/ethnicity, gender, immigration status, and socioeconomic status, and how children’s motivation is socialized in home and school. Prior to UCI, Su got her Master's degree in Biology from New York University and received her secondary science teaching credential and Master of Education degree from UCLA.